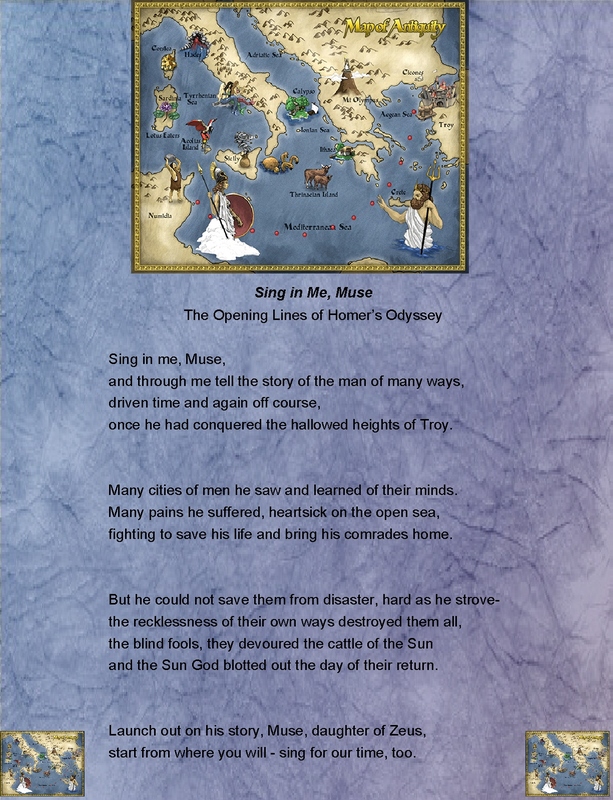 I participated in a workshop activity, below, using the introduction to Homer’s Odyssey…an activity that I thought offered opportunities for increasing personal awareness and insight as each of us travels our own odyssey or life journey. The text is taken from handouts shared at the workshop. I added background to the text. The first page, below, is from the introduction of Homer’s Odyssey. We took 20-30 minutes to reflect and fill in the page with our reflections… and then shared them with partners. The process of filling it in was remarkably moving and so was the sharing and listening to the partner’s odyssey. about the progress along one’s path….